I love trying new kinds of coffees. I enjoy how some coffees are more bold, or nutty, or rich but there are so many names for coffee it’s hard to know what is what. That’s why Seattle’s Best Coffee started their Coffee Levels – Level 1 is the lightest and mildest coffee and Level 5 is the boldest and darkest coffee. I recently had a chance to try all five of Seattle’s Best Coffee Levels (no, not all on the same day. That would be a lot of coffee, even for me!). I started with Level 4 – rich, elegant, and complex. It was very rich, almost like dark chocolate. I like it a lot but one cup was enough because it was so so rich. Then I had Level 1 – mild, light, crisp. I actually enjoyed this milder blend much more than I thought I would. It was easy to drink and had a slightly sweet aroma. But I really hit my sweet spot when I tried Level 3 – balanced, smooth, full flavored. It was funny that I liked this one best because that is what I had predicted I would like best. It was very smooth but yet full for flavor. A close second to Level 3 was Level 2 – Bright, lively, easy drinking. Level 2 reminded me a lot of Level 3. I would definitely buy these two levels again in a heartbeat to be my daily drinkers. I finished up with Level 5 – Bold, dark, intense. I liked this one too but it was bit too dark for me. Overall, I liked all of the coffees a lot and think the level system is really cool. I am a little surprised I liked the more medium blends better, because I think of myself as a “strong coffee drinker” but I guess I like my coffee somewhere in the middle so I can drink it black and drink a lot of it! Seattle’s Best Coffee and BlogHer are giving away another $100 Amazon gift card to one lucky reader! To enter to win, Visit the Seattle's Best Facebook page to check out the levels and leave me a comment on this post telling me which level (or levels) you'd like to try. • Winners will be selected via random draw, and will be notified by e-mail. • You have 72 hours to get back to me, otherwise a new winner will be selected. This giveaway runs from 04/18/2011 – 04/30/2011. I think I'd like level one. I'm a level 2 baby! I think I'd be level one! I think level 4 might be my perfect cup of coffee! Mmmm, I love coffee! I would like to try Level 1 or 2 because I don't like my coffee too strong. I'm a wimp so probably level 2 would bs delightful for me. I like lighter coffees, definitely a level 1 for me! I drink mine with a little half-and-half, so I love something strong! Maybe a level 4! Mmmm! I'm a level 2 or 3! something right in the middle-I'm goldilocks! I'll take a Level 4 Fair Trade & Organic - Rich, elegant, earthy sounds good to me! oooh, a level 4 with half-and-half, raw sugar and a sprinkle of cinnamon! yum! I think I would like 3 or 2, something right in the middle. Not too bold, but not too light either. I think I would like to try Level 4. It sounds like the right brew for me. Level three.. like Goldilocks, it sounds just right! I think I would be a level one! I think I would love level 4 because I love my coffee a little fuller! Level 3 is calling my name! I think I would like a medium blend. I think that I would like level 1... I'm not much of a coffee drinker. My dad would like level 5, so there is hope for me :) Thanks for the generous giveaway! I'm with you, level 2 or 3 would be my preference. Probably level 1... I like my coffee pretty mild. Pretty sure I'd like Level 2! Level 2, with cream and sugar, of course! I'd like to try Level 3 & Level 4. I'm pretty sure I'd love them both. I think I'd like level 1.
i'd like to try all levels, i think i would like level 1 the best since i like mild coffee. I think I would like Level 1! I think I would like level 4- I like strong coffee! I think I would be a level 1 girl! I'm pretty sure I'd be a Level 2. Hmm I think I would like the Level 3. I like a good amount of flavor. I would probably keep it pretty safe and pick level 1 because I'm a novice coffee drinker. lol I do appreciate the level system, though. I think I am a level 3! Also, I went to the officials rules and entered that way as well. I'm still pretty intimidated by strong black coffee, so I think I'd be a level 1 girl! I would probly be a level 2. My favorite blends tend to be breakfast blends. I think I would be a level 3... I like a coffee with a good amount of flavor and boldness, but if I go too dark it seems to be bitter to me. I'm a coffee wimp so level 1 for me! I'm not a big coffee drinker so I'd definitely start with level one! 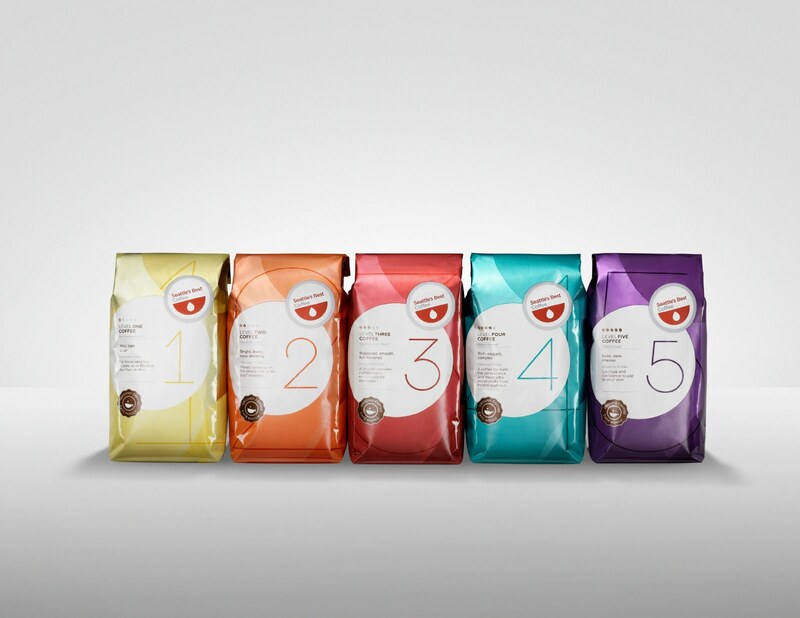 i think i would enjoy level 4...i fancy myself a dark roast drinker. I think I would like either level 2-3. I also love Gloria jeans Butter toffee for the Keurig....seriously yummy coffee! I love coffee, but can't drink it :( Makes me sick most of the time. But if I were able to drink it, I'd go with #3...sounds perfect! Level 5 all the way for me. Love that dark bold flavor! I'd like to try 4 or 5.
i'd like to try level 1! I think I would be a level 3. I am at level zero because I don't like coffee at all. But I really like Amazon and my wish list is long. I thought I'd be a 3 but they say I'm a 5 so I'd like to try those 2 levels out. I'm a level 1 coffee drinker. I am still acquiring my taste for coffee, so mild grounds with lots of add-ins are needed. Not a big coffee drinker, so I'd try Level 1! I think level 4 would be just delightful. I am a really strong coffee drinker. I'm talking "Gilmore Girls" kind of strong coffe. I would relish the chance to enjoy the level 4! I’m a level 1, I like mild flavored coffee. I’d add 4 creams and 4 sugars! Level 2 - and lots of it - sounds lovely!! I started with level 5 and still like it over all. I have found that decaff level 3 is great at night. I think I would like #3 or #4 because it can't be too light because I put too much flavored creamer in my coffee, so I like it a bit stronger or I don't get the coffee taste! I'm not a coffee gal, so if I had to, I'd start with the Level 1. But my hubby? He's a coffee fanatic, and I'm positive he'd be a Level 4! I think I'd probably be a level 4.. I really enjoy my morning coffee. I store my email over in my Blogger profile. Thanks! I was a level 3 type of woman. full flavored with a little cream. Yep, thats me! I think Level 5 would be the best fit for me. I love my coffee Bold & Black! Thanks for the giveaway. My girlfriend would love to try level 1! I'd love to try the level 4 - it sounds perfect for me. I'd like a Level 3 because I like my coffee Balanced, smooth & full-flavored! They all sound delicious and I think I'd like to try each one. I imagine I'll be a Level 4. I love bold rich coffee with complex flavors. I'm a level three - and that is what i'd like to try! I'm level 3 and it sounds great! I'm definitely a level 5! The stronger and richer, the better for me. I took the quiz on FB and it says, and I agree with, that I am a level Four Organic! I would love to try it too! I think I'd probably like the level 2. I don't usually leave my email address in comments, but you can easily find it visible in my profile. Thank you! hmmm took their Facebook quiz and they say I am a level 4. I am guessing that is because I prefer to buy organic anything. LOL I would think I would fall in the level 1 though. I think a level 3 is right for me. Level 3 - will take it black but enjoy half n half & Splenda, too. Definitely a 2 or 3. Started drinking in college and 2 kids later, I'm hooked. I guess I'd be a 3 somewhere in the middle. Not too strong but definitely a little bit of a kick. I think I'm a 2 but it says a 1. I like breakfast blends with a little bit of milk or cream. It says I'm a 4 but I always put milk in my coffee so who knows! Sounds like a fun little coffee contest! GL To everyone!